toilet, give us a call. similar “just-add-water” foods down the drain they can create a clog when you add water. the washer is running. Remember--washing machine hoses should be replaced approximately every three years. In humid weather, your ductwork may sweat and create condensate. there is no water in the drain pan. If there is water you will have ceiling problems soon. Saving money and energy when going on any of your vacation trips. when gone for long periods of time. your sewer line pipes to see if your susceptible to a sewer line backup problem the technician will be able to help you determine the best kind treatment option for proper drain cleaning. with our new mobile website! Colorado Springs Drain Cleaning Experts! We clean drains any time late nights, weekends, or holidays, for residential homes, commercial buildings, industrial sites, all of our work is guaranteed! We have low flat rates and never any kind of bill increase surprises when the job is done. We also offer first time online customer discounts, senior citizen discounts, and military discounts too. When it comes to sewer and drain cleaning needs, Pro-Power Rooter Service is ready to respond. We can diagnose your slow running or clogged drain problems and solve them quickly and professionally. Clogs are inconvenient and a big disruption to our everyday lives. They can result in standing water, overflows and in some cases raw sewage entering the home. In many cases our technicians will break through blockages in pipes with a wired metal cable snake. This is why they call it a “rotorooter drain service”. Whether it’s your kitchen sink clogging up, washer line, bathtub or even maybe your toilet, we can clear any type of drain clog no matter how hard. We guarantee all of our services and our experience saves you money by having it cleared right the first time. Our highly trained technicians will get your home functioning again in no time. 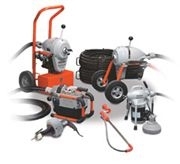 With our fast a friendly drain repair technicians using the latest equipment & technology to get the job done right! Pro-Power Rooter Service is here for all your emergency plumbing needs. With us as your fast and friendly service, you never need to hesitate about calling 24/7 for any emergency service. Nights, weekends and even holidays, you will be greeted by one of our technicians who can schedule an appointment to meet your needs. If it is an emergency, we’ll dispatch a plumbing technician to your home immediately! We're always here to take care of your emergencies with leaking water lines, sewer mainline stoppages, bursting washing machine hoses, kitchen sink and bathroom drain clogs, overflowing toilets and many more. We are pleased to offer warranties on all our services because we are trained to provide you with the solutions you need and the quality you deserve. We service both residential and commercial sites and offer a variety of drain cleaning and plumbing repair services. No Hidden Charges - Residential flat rate pricing for your kitchen, bathroom, laundry or any other stoppage. Immediate Service - We can be at your home or business place in under 2 hours of time. Phones 24 / 7 - Someone is available to answer your calls or leave a message you will get called right back. Lowest Prices Guaranteed & Discounts - Lowest prices guaranteed, New Customers, Seniors, and Military Discounts. Fast, Friendly Service - Customer service is available and will dispatch technicians to your Emergency. Reputation & Quality - Family owned and operated since 1991, uniformed and groomed technicians. Our Service Technicians - All of our service technicians are at our clients homes to provide one service drain cleaning! We don't sell chemicals or do big plumbing jobs. That's why were experts in drain cleaning! clog up over a period of time.They run slower and slower as greases, soaps, fat and detergents build up on the inner walls of the pipes and eventually cause blockages. Pro Power Rooter technicians who specializes in kitchen drain cleaning jobs will use an electric powered drum cleaning machine to cut through the clog and remove all debris. Your kitchen drainpipes will be as good as new again. present their own challenges. The clog is usually hair and soap buildup in the trap and drainpipe. When you're taking a shower you should never see standing water in the stall or tub. Properly functioning drains should carry the water away almost instantly. If water covers the shower floor and your feet, you have a clogged shower drain, which will eventually become completely blocked. A service technician skilled in shower repair techniques will use a drain cleaning machines to clean the drain like new again. are sometimes over stuffed with toilet paper and can even have your kid's toy in it. Pro Power Rooter can solve the problem with a drain cleaning machine that feeds a spinning cable into the toilet drain. The cable has special spring loaded blades on the tip that will cut through any obstruction including tree roots, while scraping the inside wall of the pipe and thoroughly cleaning it to restore it to full operation with drainage and can give you powerful flushes once again. are common in basements, laundry rooms and garages. They may also be found on patios and driveways as well as older bathrooms. These drains are equipped with a trap that should be kept filled with water to prevent odours and sewer gas from escaping. Test drains occasionally to make sure they are aren't clogged and are ready to carry away water and prevent flooding. Dirt and debris can clog floor drains we can open them quickly to restore good drainage. may become clogged with hair, toothpaste, soap grime, and etc. We provide many bathroom plumbing drain solutions and sink drains are one of the more common problems that we get calls on that we solve. We will remove the clog and thoroughly clean the entire pipes so your sinks will drain like new. are the largest drains in a home. All other household drains lead to the main sewer line. The main sewer line runs underground from the house and connects to a city sewer line or a septic tank. Your main sewer line can become clogged from the debris those other household drains wash into it or by tree roots that penetrate the pipe joints from surrounding soil, or ever from cracked or off set pipes and connections. Sewer Snake Cable Stuck In Drain. that could not even finish the job!. low cost sewer and drain company. And one of their good neighbours ended up recommending us. he felt something big towards the end of the snake cable. a long time before he was able to pull back all of his cable. he saw another cable wrapped up around his end of the drain snake cable. to convince him that the sewer line needed to be dug up and replaced. And their estimated charge for the job was between $2,300 and $3,500 they said. Pro Power Rooter has two locations to serve you. Our Drain Service technicians always work extremely on delivering you the highest level of customer service, it's our top priority. We also truly believe it's unmatched in the drain cleaning service industry. It all starts off by making the first call, when our drain cleaning service pro tech. 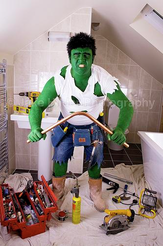 arrives to your house or business you will find him to be very helpful, knowledgeable and also friendly guy, He starts by giving you all the options and pricing details before he begins any of the work. So don't you want to call a top notch drain cleaning company with the staff of professionals whose first priority is respecting you inside of your home, then you know you have made the right choice. We Can Help With Any Type Of Flood.